Step into a magical world of joy and laughter at Novotel Imagica Khopoli, a one-of-a-kind resort with 5* facilities, located next to India's most exciting amusement park, Imagica Theme Park. It's a place where the imagination reigns and fun is the number one priority. For a family holiday, a business event, a romantic getaway or a wedding as soon as you arrive, you are swept into a whirlwind of excitement and activities. Featuring 287 rooms, 4 F&B outlets and a large pillar less ballroom . Located near lonavala and strategically located next to India's biggest theme park Adlabs Imagica and Aquamagica, the hotel is located at Mumbai-Pune express way equidistant from Mumbai and Pune city, which makes it a perfect weekend destination. Dedicated activity and entertainment team at the hotel. Live in the story, live cartoon character in the hotel. Be spoilt for choice with Tubbby's selection of delectable chocolates, cookies, sumptuous cakes, sandwiches and petit fours. The Tubbby's Bistro is located at the Lobby Level. The Square menu is crafted by the selection of the finest ingredients designed perfectly to complement each palate. To set the moods on higher notes our beverage connoisseurs have selected the finest distilled grains and malts from across the globe. When all your adventures leave you thirsty, join us at Nitro Bar. 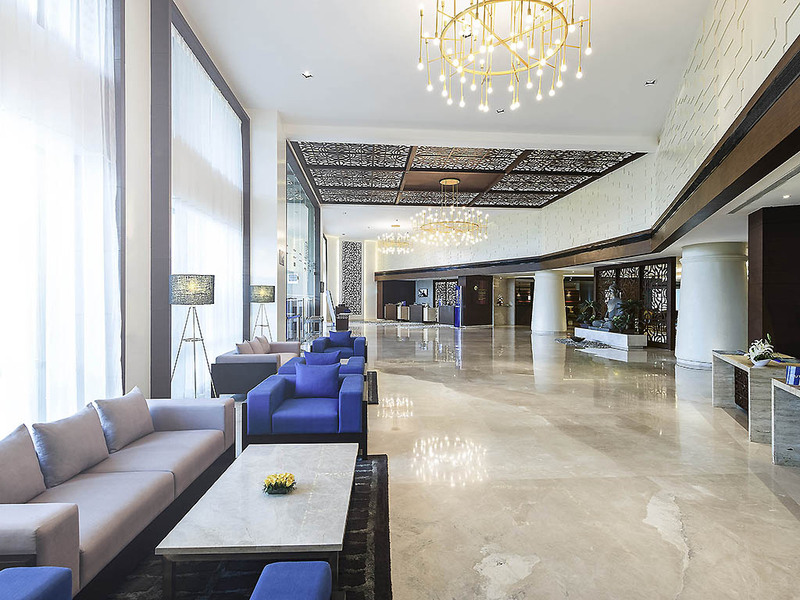 Located off the elegant lobby at Novotel Imagica Khopoli, it is a stylish, intimate space that's just right for a quick coffee or relaxed drinks. Enjoy refreshments without ever having to leave your sunlounger in the Zen-inducing atmosphere of the hotel's outdoor pool area. Our poolside bar, Flotz, keeps the cocktails flowing all day long.